Audible warning to alert other road users to an imminent danger. 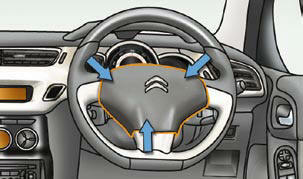 Press one of the spokes of the steering wheel. - when approaching an area - where there is no visibility.